Leap-seconds and the resulting extra time signal pip on the radio will continue, after delegates at the ITU World Radiocommunication Conference in Geneva decided to keep adding leap seconds. Amidst a proposal to get rid of leap seconds, the Conference decided that "further studies are required on the impact and application of a future reference time-scale, including the modification of coordinated universal time (UTC)", before "suppressing" leap seconds. Leap seconds are added periodically to adjust to irregularities in the earth’s rotation in relation to Coordinated Universal Time (UTC), the current reference for measuring time, in order to remain close to mean solar time (UT1). A leap second was added most recently on 30 June 2015 at 23:59:60 UTC. (00:59:60 BST). 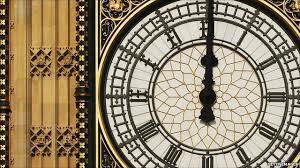 Traditionally, to cater for the extra second, BBC Radio 4's time signal pips have featured an extra pip signalling the leap second to its listeners.